The big four sports don’t really need to have huge stars to draw in viewers and fans. US soccer manages to bring in international stars to draw some major attention. Men’s tennis has its big four of Andy Murray, Novak Djokovic, Rafael Nadal and Rodger Federer. Women’s tennis has Serena Williams. Men’s golf has…wait, I don’t really know who it has any more. 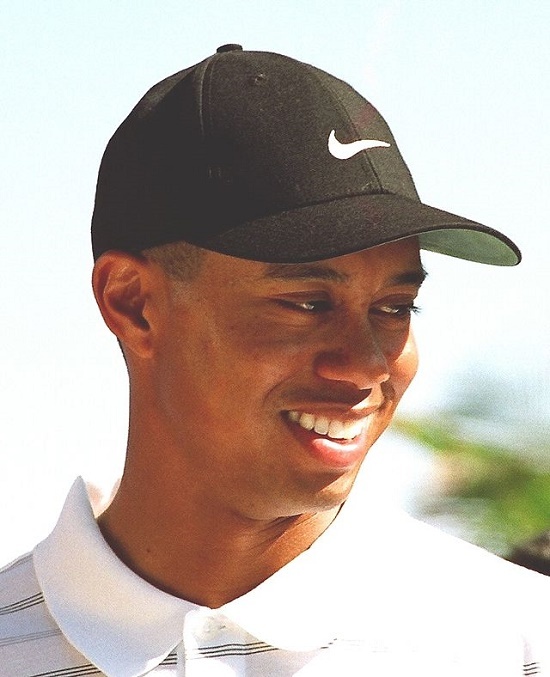 Tiger dominated golf in the 2000s, holding the title of world’s number one for a record 683 weeks total. Golf thrived in times when it was being dominated by one man, one poster boy if you will. All throughout history, there has been one man to dominate the headlines, and the competition. It started way back in 1914, when Walter Hagen won 45 events in a 23 year span. Then in the late 30s Sam Snead he won an unprecedented number of PGA tour events with 82, a mark that still stands today. He, and later Ben Hogan, dominated golf until about the 1950s. It continued with Arnie Palmer piling up wins from the mid 50s to the mid 60s until another golf legend stole the show by the name of Jack Nicklaus. Nicklaus won 18 majors during his storied career, which remains the most of any golfer ever. Nicklaus earned his last win in 1986, by which time, the golfing community was getting to know Steve Norman, who ranked as the number one golfer in the world for a then record 331 weeks during the late 80s and early 90s. There was some back and forth during the late 1990s as a couple of men fought for supremacy. Eventually, Tiger Woods emerged from the pack and simply dominated golf from the turn of the century until about 2010. McIlory has spent time bouncing between being number one and being all but forgotten. Since about 2010 though, golf has searched for a new king. Lee Westwood took his brief turn at the top. Luke Donaldson and Rory McIlory traded on and off for a number of years. Then it seemed like McIlroy was the true heir until a rash of injuries kept him from competing for some time. Tiger even returned for a one-year stay at the top before falling way down the rankings. The world was ready to crown Jordan Spieth it’s next hero after his clutch win at the Masters this year but he arrived at the Fed Ex Cup Playoffs and completely fell apart, relinquishing his number one ranking to McIlroy again. So now, golf is still searching for a new face of the sport. And it is essential that it finds one. Obviously, all of the invested golf fans will continue to watch no matter what but most casual fans will not tune in unless a big name is playing. The popularity of golf in the US was through the roof when Tiger dominated the fairways. He brought the casual fan in to watch what amazing thing the best golfer in the world would do next. Since Tiger’s extreme decline following 2013, golf has tried to hang on to him as its way of keeping people interested. All coverage begins and ends with Woods because he will draw in the casual fans. But as Tiger continues to fade, that effect continues to wear off. Golf needs a new talisman for fans to gather around and follow. I’m not saying that you need one person to win every event, even Tiger didn’t do that, but you need someone who wins a majority of them. Some of the best storylines in golf following the turn of the century occurred when someone knocked off Tiger or Woods won in spectacular fashion. It created excitement among fans and genuine interest for even the casual golf fan. As much as sports strive for parity so that we can witness different champions come and go on a regular basis, golf simply does not follow that format. It thrives off of having a king at the top and all of the challengers attempting to knock him off. Until golf finds its new king, it could be in for a rough time.